Thinking of Selling? We’ve Got Buyers! We’ve been talking for the past few months about how the Lancaster County real estate market remains hot, and that now is still a great time to sell your home. You can see all the reasons why here, in our post from November 1st. Our team has several buyers who are ready, willing, and able to purchase their next home, they just haven’t found the perfect home yet. Below are a few of the homes our buyers are looking for. 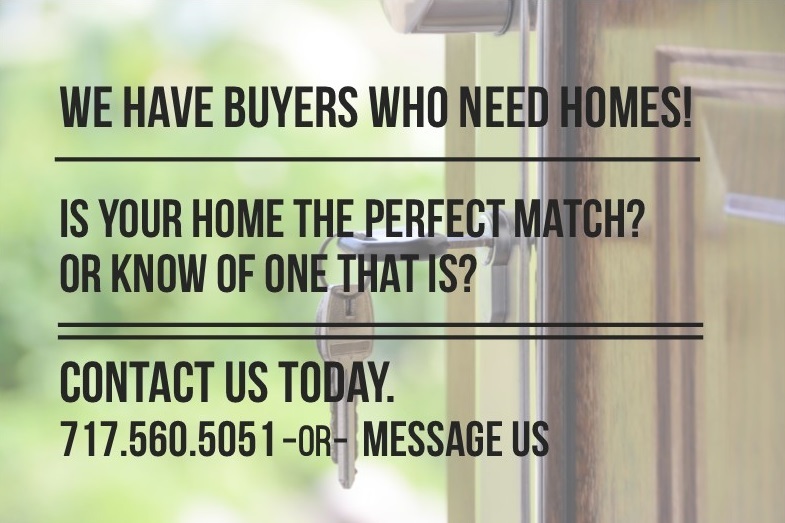 If you’ve been considering selling your home, or know someone who has, and the home matches the criteria above – give us a call at 717.560.5051.